This launching workshop brought together partner teams of the project (namely CIRAD , MCIA /MSIRI , FOFIFA CNDRS and IFP ), associates (CCARDESA , the representative to ASARECA could not participate), invited people from Tanzania, Swaziland, Zimbabwe and South Africa, and actors from Mauritius and Rodrigues islands such as sugarcane agronomists, representatives of small farmers, weed scientists,extension service providers, botanists, teachers from the University. 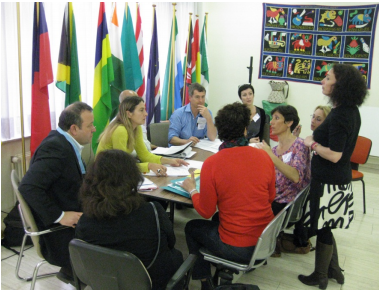 A Joint Stakeholders Conference 2014 was held on 1st and 2nd April 2014 at ACP House, Avenue House, Brussels, Belgium. The aim of the two day conference was to bring together stakeholders in the fields of Higher Education, Science and Technology, and Research to network and discuss subjects of general interest. All current projects from ACP S&T II and EDULINK II programmes were represented. Thomas Le Bourgeois and Nora Bakker represented the WIKWIO project. For more details browse the poster of the WIKWIO project. 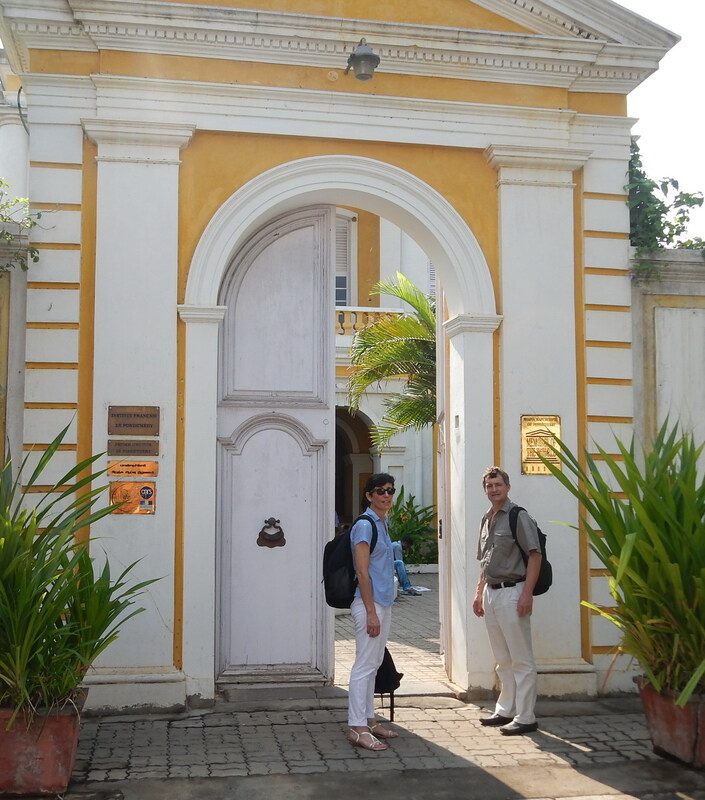 Thomas Le Bourgeois and Nora Bakker from Cirad visited IFP at Pondicherry, India from 4 to 11 April 2014. The objective was to work with IFP team on the improvement of the participatory portal of the project and the IDAO identification tool. It was also for N. Bakker an opportunity to work with the projects in charge of IFP on the administrative procedures of the project. 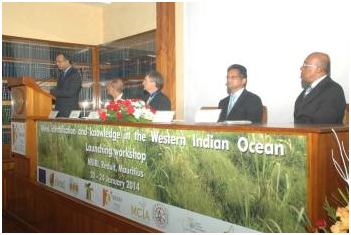 The second technical workshop was held on 20th - 24th October 2014 at the IBIS Hotel in Antananarivo, Madagascar. 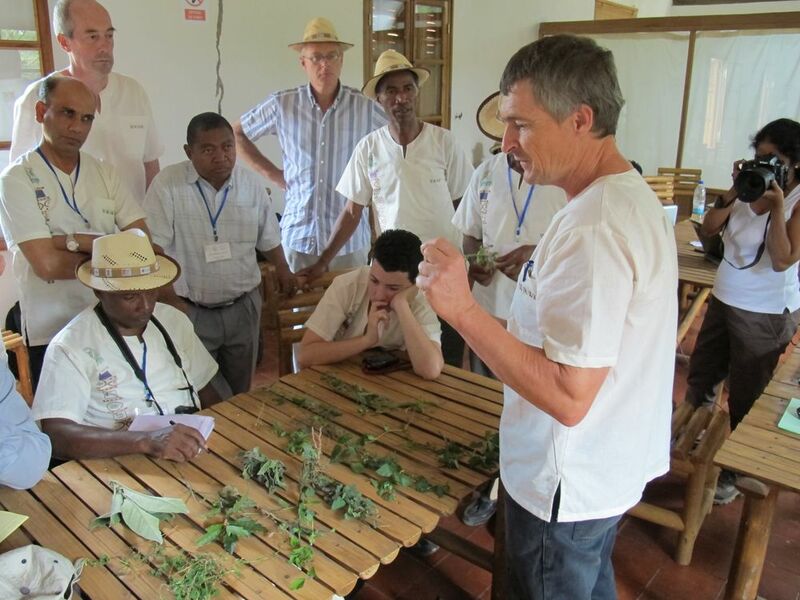 This workshop brought together partner teams of the project (namely CIRAD, MCIA/MSIRI, FOFIFA, CNDRS and IFP), associates (CCARDESA and ASARECA), invited representatives from Belgium (ACP S&T II Programme), India, Ethiopia, Tanzania, and South Africa, and actors from Madagascar such as agronomists from National Research Center, representatives of small farmers, weed scientists, extension service providers, botanists, University and Superior School of Agriculture lecturers.